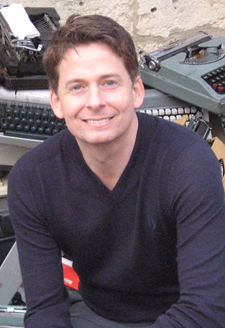 John Searles is the author of the best-selling novels “Boy Still Missing,” (2005) “Strange But True,” (2005) and “Help for the Haunted.” (2013) For 10 years, Searles has appeared regularly as a book critic on NBC’s Today Show and CBS’s The Early Show. He is also the Editor-at-Large of Cosmopolitan. His essays have been published in the New York Times, the Washington Post, the Daily Beast, and other national publications. Searles has also appeared on CBS’s The Early Show, NPR’s “Fresh Air,” Live! With Regis and Kelly, and on CNN. As an editor-at-large at Cosmopolitan, he is involved with all book excerpts and reviews, the magazine’s best-selling book series, website, radio station, and iPad apps. Time magazine named him a “Person to Watch,” and the New York Daily News dubbed him a “New Yorker to Watch” when his first novel, Boy Still Missing, was published. Searles’s humor, affability and industry expertise make him a sought after keynote speaker for a variety of audiences including colleges and universities, publishing programs, writers’ retreats, literary festivals, libraries, and library conferences. Strange But True is soon to be a film starring starring Imogen Poots, Bill Paxton and Melissa Leo and directed by Alex and David Pastor. Help for the Haunted was winner of the American Library Association Alex Award, Boston Globe’s 2013 Best Crime Fiction, An Amazon Top 10 Mystery and Suspense Novel of 2013, and hit Entertainment Weekly’s Top 10 Must List. Searles was born and raised in Monroe, Connecticut and attended Southern Connecticut State University, where he majored in business, because he thought it was practical, but minored in creative writing, because it was something he loved. He was fortunate to win a number of writing awards from the University. Encouraged by this recognition, he moved to New York City to pursue a master’s degree in creative writing at New York University. Following his time at NYU, Searles waited tables and attempted to publish his novel. Soon afterward, Searles attended a writer’s conference in South Carolina, where he met the fiction editor of Redbook. She liked his writing and offered him a freelance job reading short story submissions for 50 cents a story. He took that job for over a year until he was offered what was at first meant to be a part-time position in the books department at Cosmopolitan. For availability and speaker fees, please contact John Searles’s speaking agent at Chartwell here, or call +1 972 385 1021 for U.S. inquiries or +44 207 293 0864 for international inquiries.